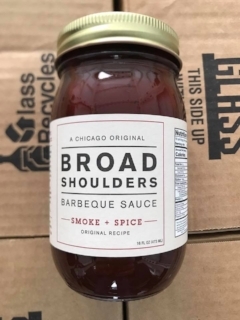 Broad Shoulders BBQ strengthens your community by bringing people together through our premium products and by partnering with local non-profits. A portion of the proceeds from every jar is donated to the boys & girls club of chicago. Find out about our organization, mission, and the results of our passion so far! Find out when you can try and buy our delicious barbecue sauce!